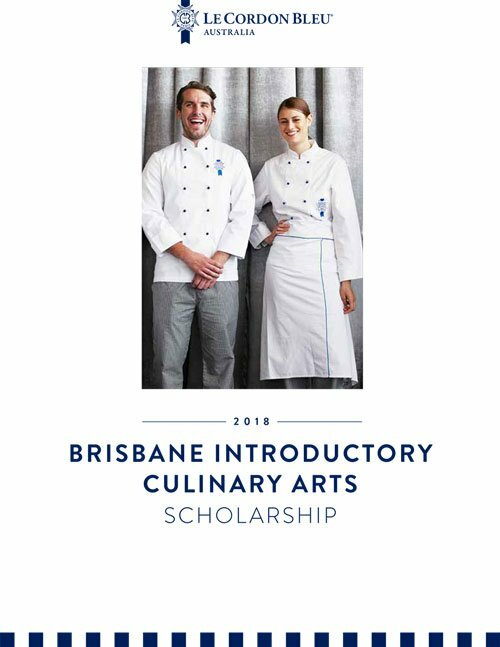 Application for 2018 Brisbane introductory culinary arts scholarship. Le Cordon Bleu is delighted to welcome applications for its 2018 Brisbane Introductory Culinary Arts Scholarships. Applicants will need to meet entry criteria and write a 400 word essay explaining why they want to study with Le Cordon Bleu, and their career aspirations in the hospitality industry. Terms and conditions apply. Please see application form PDF for details.